In the tradition of the Quebec Circus, Circo Comedia brings thrills, comedy, stunts, magic, and eccentricity to delight and amaze the whole family. Direct from Montreal, “straight man” Jean Saucier juggles, cycles, balances, and performs magic atop dizzying heights, while Patrick Côté clowns around on skates or while drumming as his (imperfect) assistant. 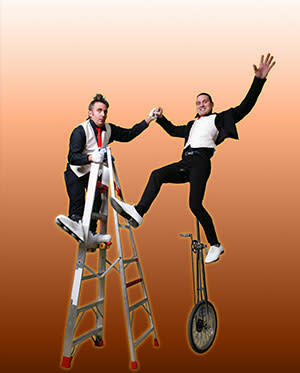 Their unique brand of tomfoolery has been entertaining audiences and winning awards for 15 years. “Circus act small on performers, large on laughs. How small can a circus be? 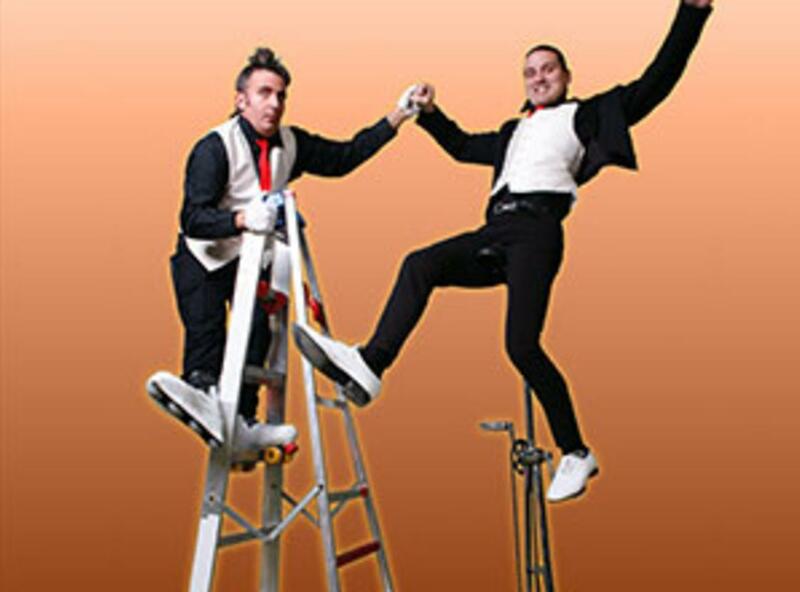 No smaller than the Circo Comedia duo, surely… 60 some minutes of one-ring (half-ring?) entertainment” (Pittsburgh Tribune Review).